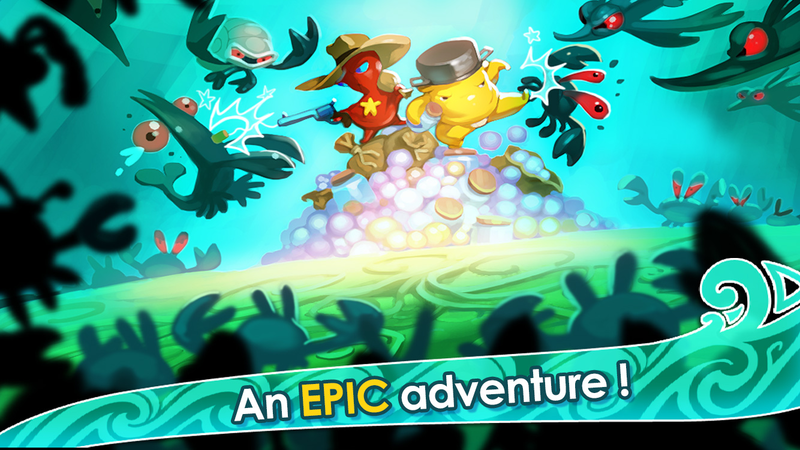 SQUIDS is a unique mix of action strategy and RPG: build your team of heroes for epic turn-based battles against corrupted crabs and shrimps! 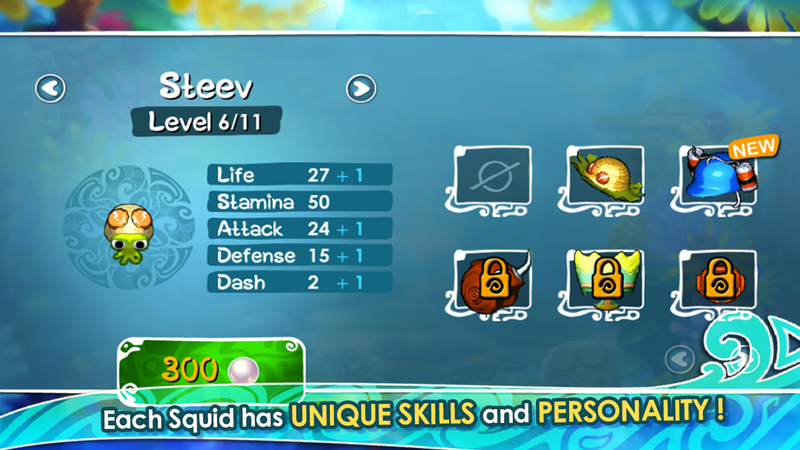 Steev, Vahine and the rest of the Squids are in danger! An infectious black ooze is corrupting their world. 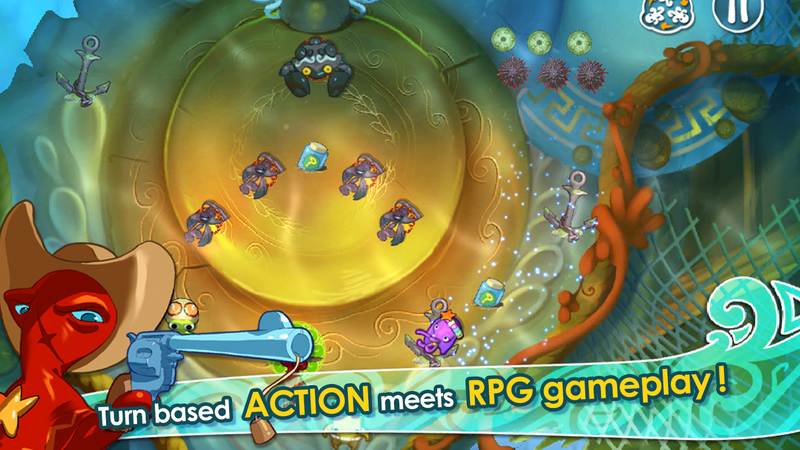 Only a few heroes can fight back and save their lush underwater kingdoms! 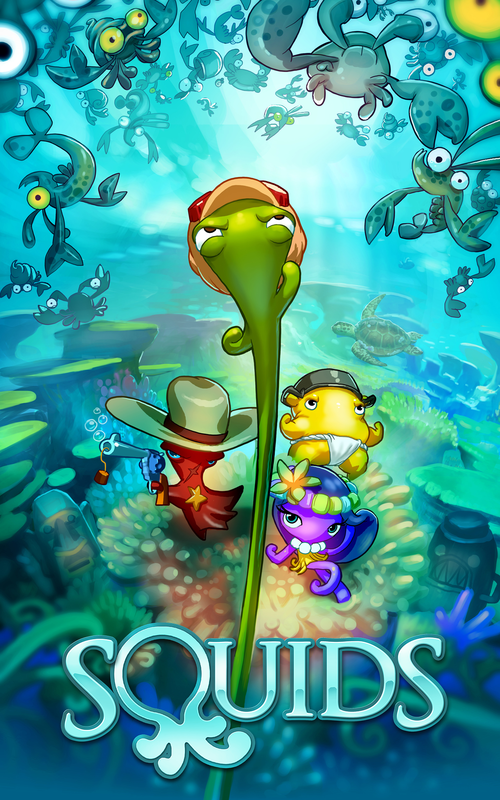 Recruit a small army of stretchy Squids and lead them into turn-based battles against the dark hordes. Like most ideas at Game Bakers, SQUIDS was born at the diner table. Emeric and Audrey were discussing their mutual passion for octopus, what incredible creatures they are and they realized how their tentacles would be a perfect fit to be stretched on a touch screen. Squids is often pitched as « Final Fantasy Tactics meets Angry Birds », because it’s easier, but the true initial references for Squids are Shining Force and Cannon Fodder: Shining Force for its great character design and T-RPG mechanics, and Cannon Fodder for the team-based tactical action. 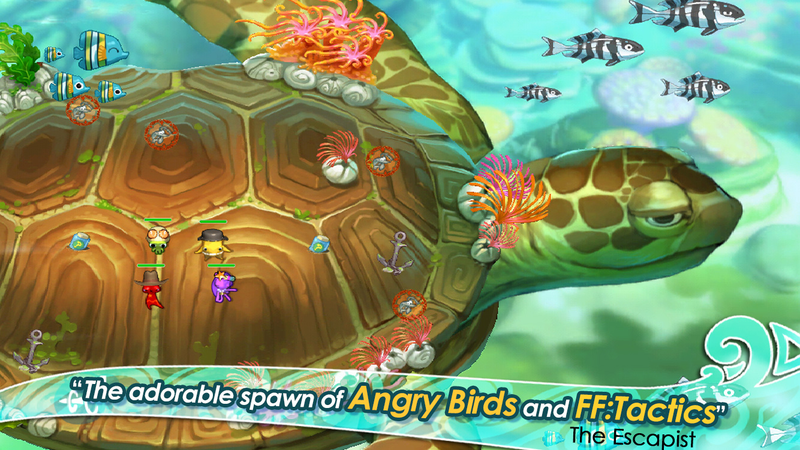 "The adorable spawn of Angry Birds and Final Fantasy Tactics." "An RPG this perfect is rarely seen on the App Store. 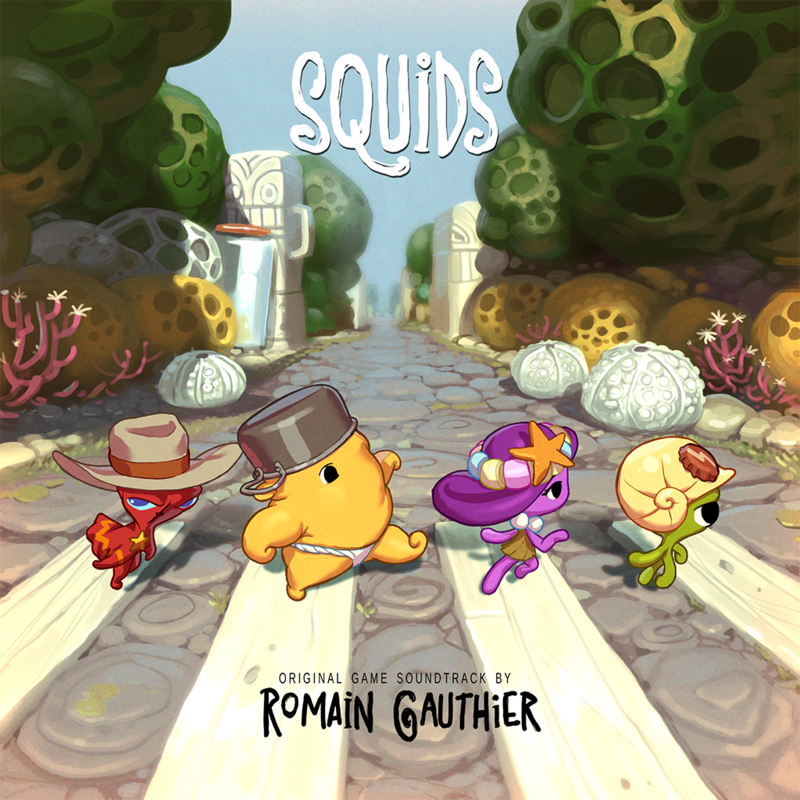 Squids enjoys a delightful presentation, intuitive and creative game mechanics seldom used in the genre, and way more content than the price range would suggest." 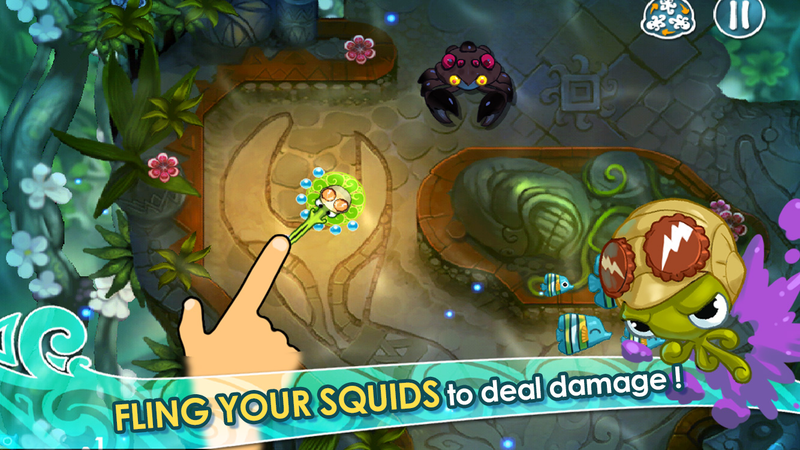 "Squids is a fantastic game with a quality of visual presentation and level design that goes beyond the typical App Store entry." Available for free from Bandcamp thegamebakers.bandcamp.com. 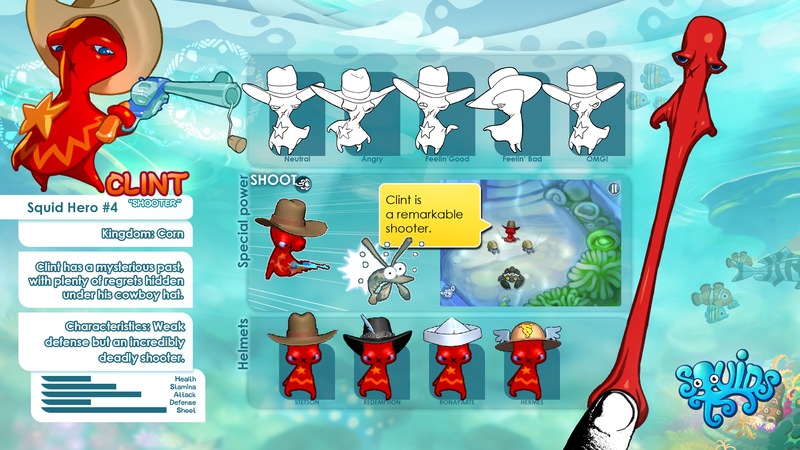 Overviews of all missions in Squids, Squids Wild West and Squids Odyssey: objectives, secret star location and waves of ennemies thegamebakers.com. 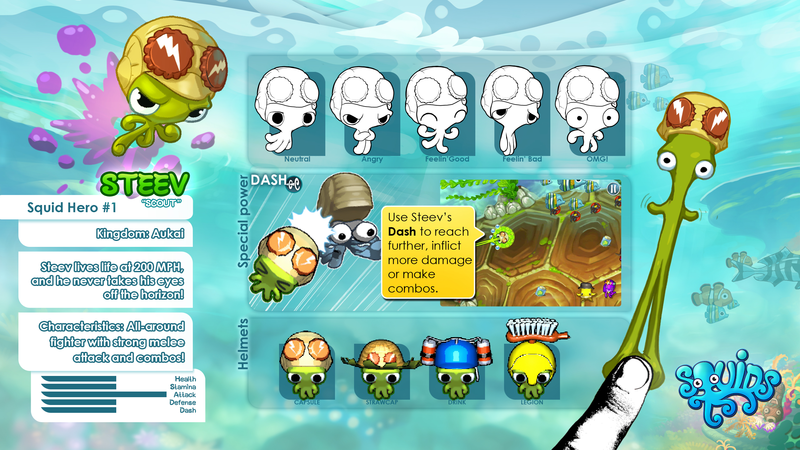 Some of the design decisions behind SQUIDS thegamebakers.com. Considerations about the financial implication of making SQUIDS thegamebakers.com. Video showing the visual evolution of SQUIDS from first prototype to final youtu.be.